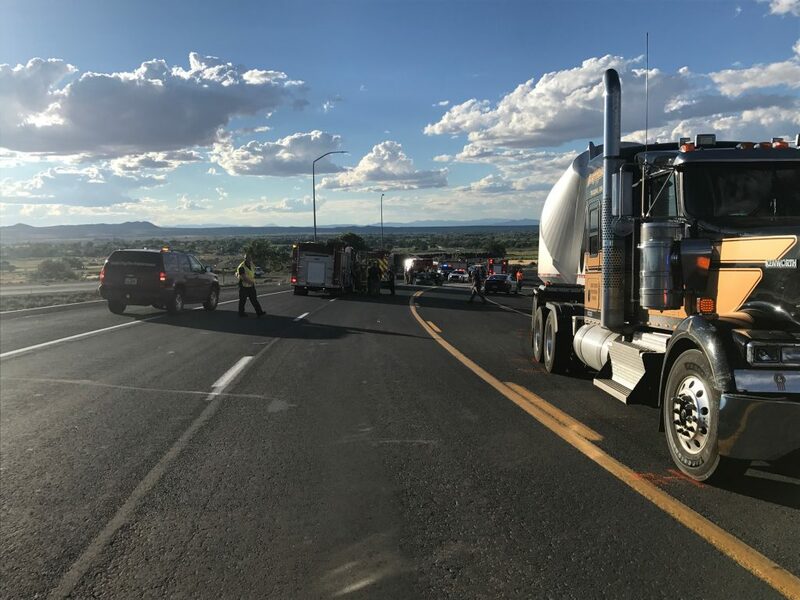 CEDAR CITY – A 16-year-old male driver and an adult male passenger were both airlifted to Salt Lake City Tuesday after a semitractor-trailer ran over their vehicle. 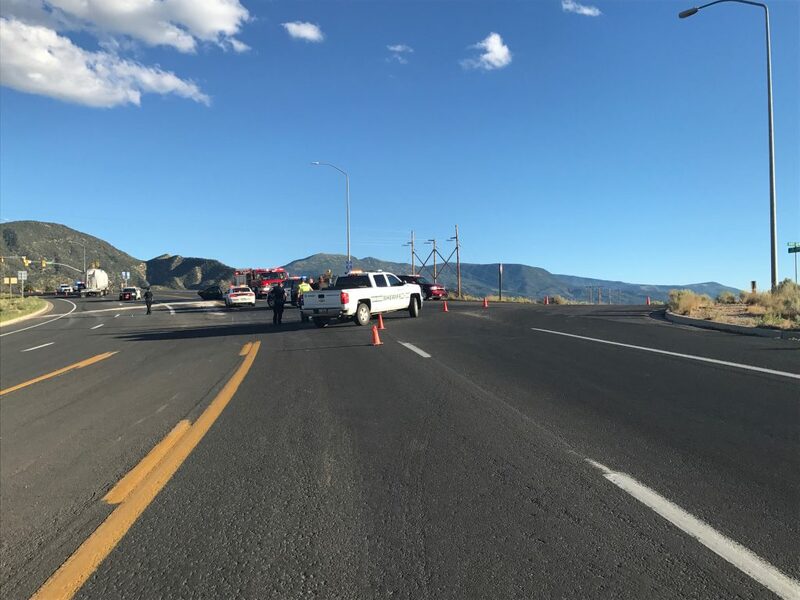 The semi was driving south on state Route 130 toward an Interstate-15 exit when the driver of the a BMW sped up to make a left-hand turn from 1600 North Access Road on to SR 130, Cedar City Police Sgt. Jerry Womack said. 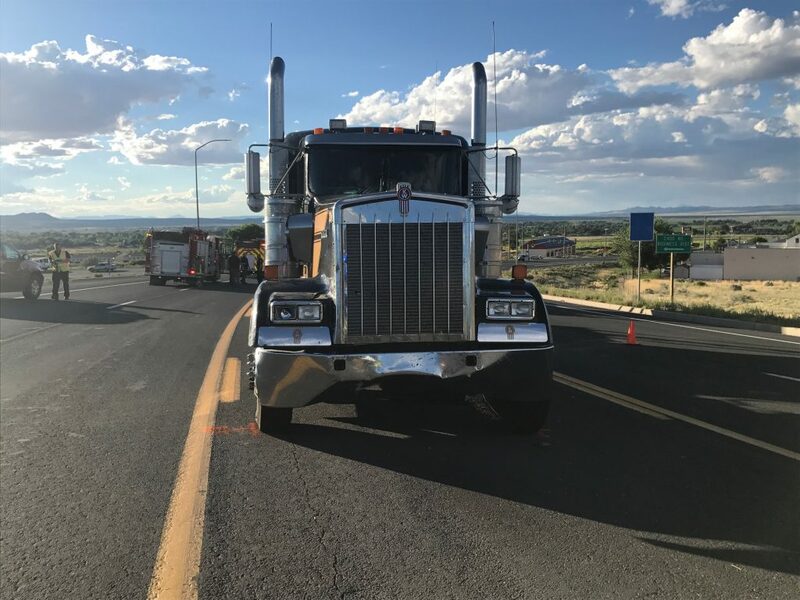 The vehicle turned in front of the semi, which was unable to stop in time to avoid the crash. The cab of the semi ran over the vehicle, Womack said. Officers were dispatched to the scene around 6:30 p.m. where they found the BMW on fire and its occupants trapped inside. Police safely pulled the passenger out after suppressing the flames. 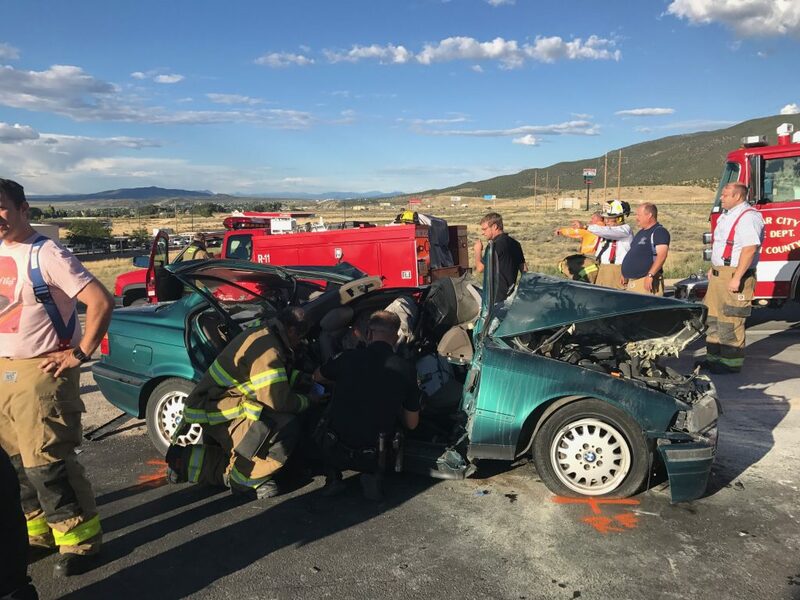 However, Cedar City firefighters had to extricate the driver by cutting his door off of the small-passenger vehicle. 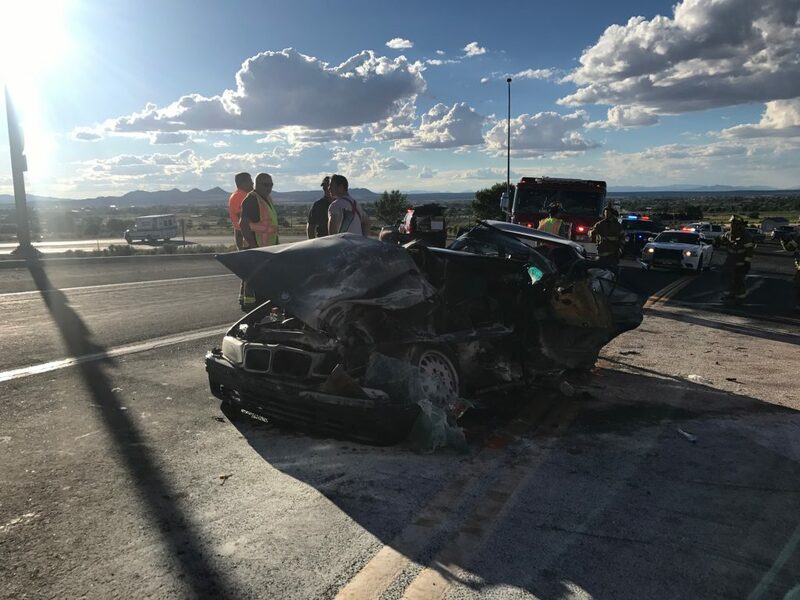 Both males were severely injured and transported to Cedar City Hospital where two Life Flight helicopters were waiting to fly them to Salt Lake City. The driver and passenger were also confirmed to be locals to the area. The semi driver was not injured in the incident. The identities of those involved in the incident is not being released at this time. Womack did not have additional information on the extent of their injuries or their status Tuesday night. No citations have been issued, Womack said. 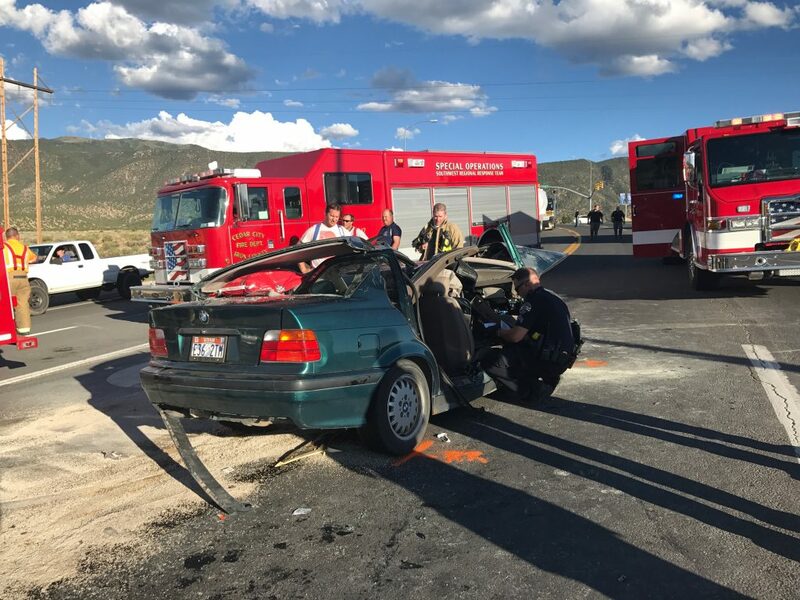 The Iron County Sheriff’s Office, Enoch Police, Cedar City Police and Fire, Utah Highway Patrol and Gold Cross all assisted on scene. 16 year old driving a BMW like a fool. Hope they make it. 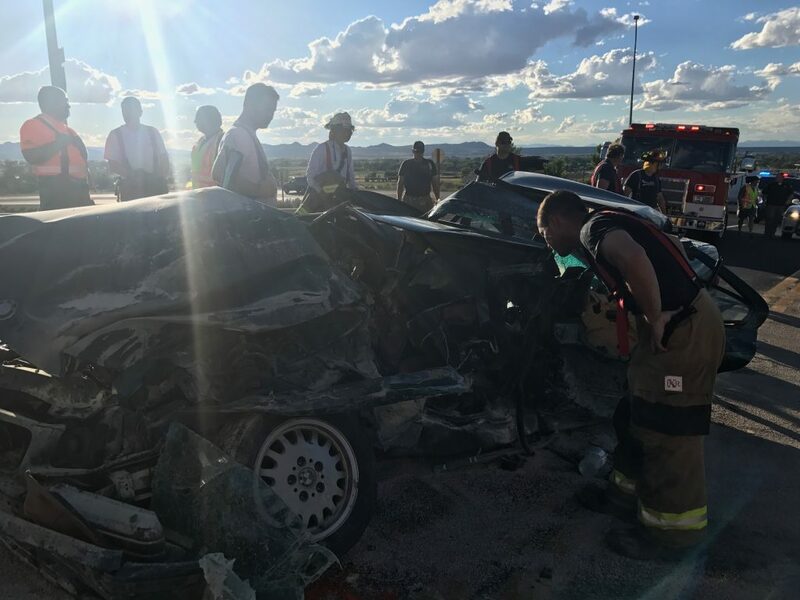 Doesn,t matter what you are driving, 16 yr olds know you don,t cut in front of a semi…it will be a long time before he drives again,if he does, hope they both survive. I’m sure most people have tried to “save time” by cutting it a little too close in a similar situation with traffic, left hand turns, yellow lights etc. It’s NEVER a good idea to try to beat any other vehicle. You will end up paying for it, like these two are now. I do hope they make it and recover. We don’t live in a video game, these are dangerous machines that we operate and have real life consequences when WE screw it up. My regards to the truck driver for doing what she could, it’s an often overlooked job on how much skill and concentration it really takes to operate one and to always do it safely. It’s like trying to stop a train, and we know it takes much more than a dime to stop them as well. there’s probably some valuable lessons to be learned from this. I was not a good driver at 16. Teen drivers are idiots. What can ya do?